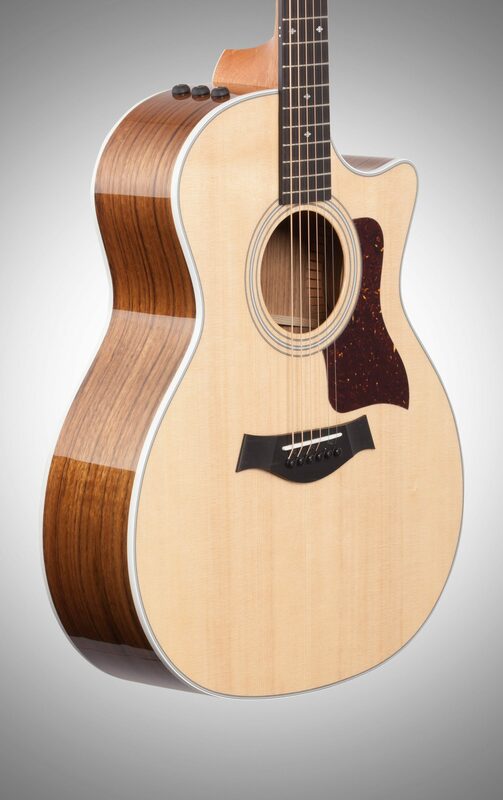 Experience Taylor's revolutionary V-Class bracing with the 414ce Grand Auditorium V-Class Acoustic-Electric guitar. 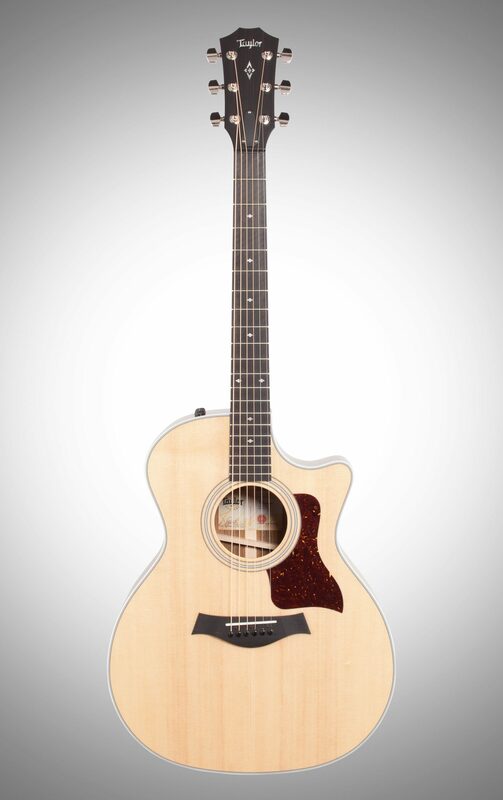 Taylor's V-Class bracing is a fundamental innovation in acoustic guitar design. 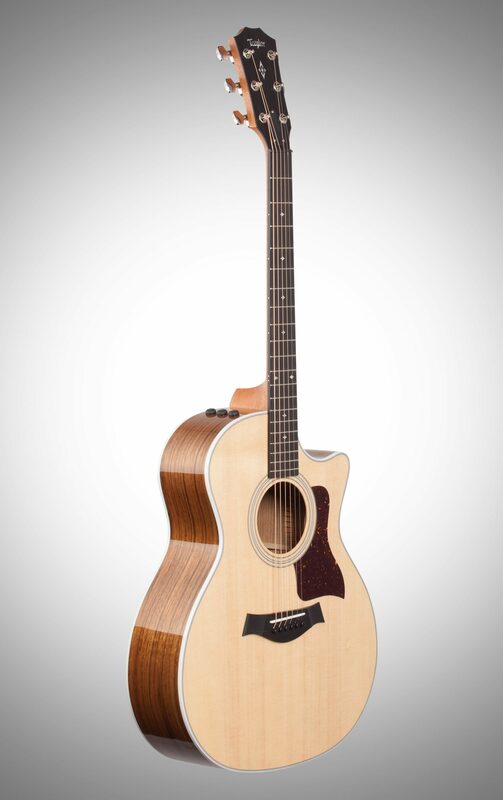 It marks an important evolution beyond traditional X-bracing, introducing an entirely new platform for acoustic performance. 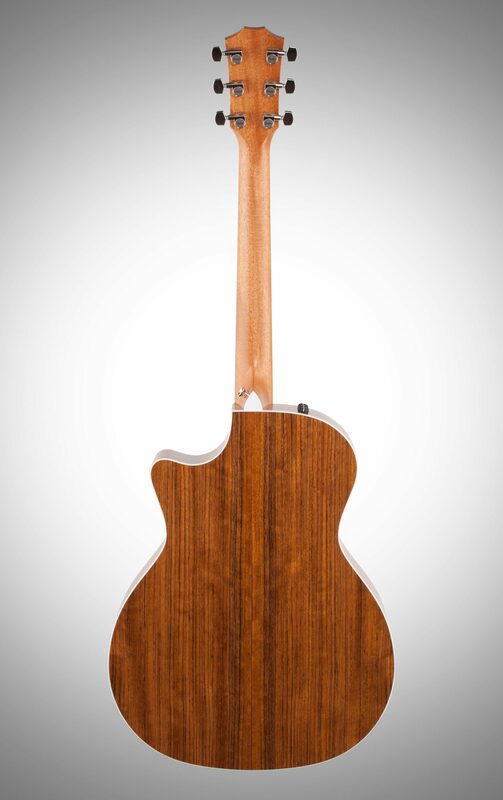 It is essentially a "sonic engine" that optimizes the response of an acoustic guitar in three key ways: by boosting volume, sustain, and by largely resolving the intonation (in-tune-ness) issues that have long plagued acoustic guitars. V-Class bracing creates purer, more orderly notes that don't cancel each other out or sound "off". 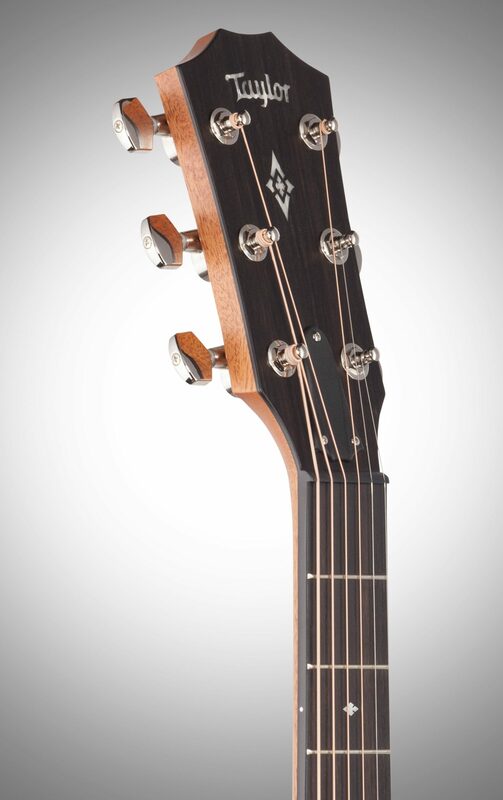 They have clearer, more consistent response, and the whole fretboard is brought into greater sonic alignment for a more musical playing/listening experience. 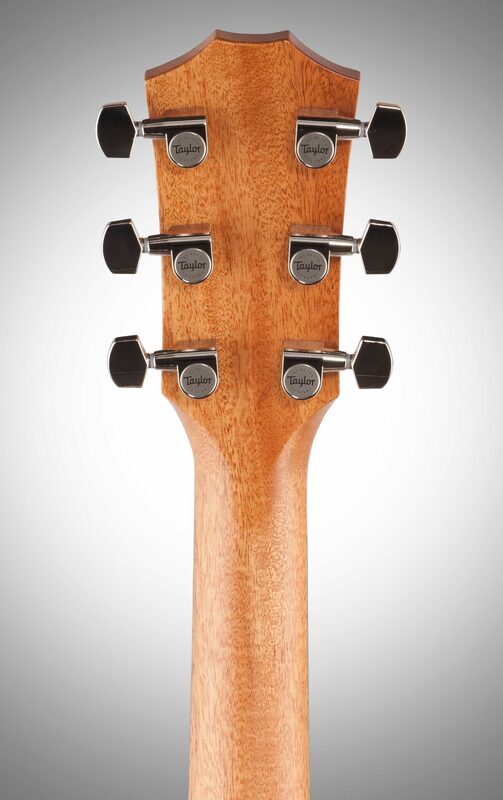 Guitars with V-Class bracing are easier to tune; the pitch sounds purer and more solid, and electronic tuners can more easily locate notes for quick, precise tuning. 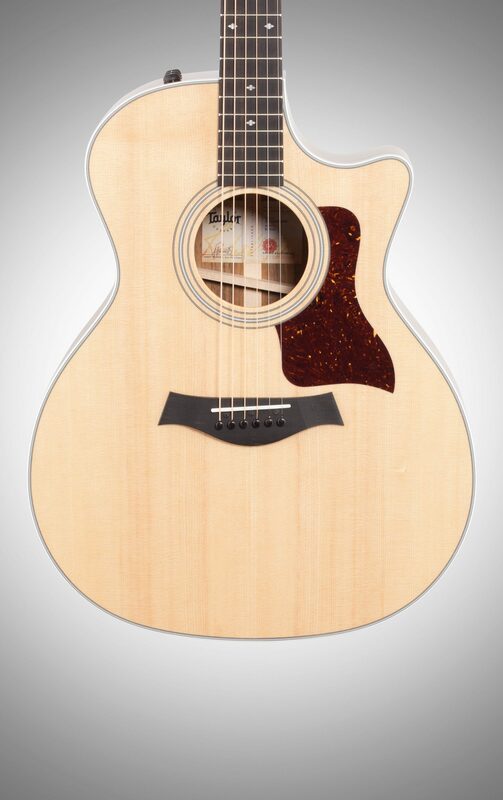 Other benefits: harmonics ring more uniformly down the neck, notes are louder with more projection and sustain, and notes are more consistent, i.e., upper register notes don't get choked out or swallowed. Fewer "sour" sonic qualities exist with chords; a more agreeable relationship is created between notes as they ripen, bloom and decay.